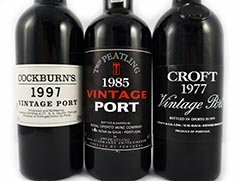 Welcome to vintageportgifts.co.uk, the UK's largest Internet retailer of top quality Vintage Port for anniversaries, birthdays, corporate gifts and other special occasions. Our minimum order quantity is just one bottle. We deliver BY UK MAIL COURIER direct, next day, to residential or business addresses anywhere in the UK. All orders are beautifully packaged in silk lined wooden boxes with tasting and storage notes, and we also include your choice of gift message. Call us today on 020 8746 7771 to discuss any special requirements. All of the 2,500 different bottles listed on our site are in stock and available for immediate delivery. Our prices range from £19.97 to over £100,000 a bottle. 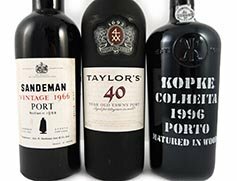 We have one of the largest selection of Vintage Port gifts in the UK. Spend over £29.77 per bottle and we'll include FREE wine accessories worth £17.99! Choose from our great selection of Vintage Port anniversary vintage wine gifts. We donate a proportion of each sale to a special charity. Last year we donated over £5000 to our chosen charity the Teenage Cancer Trust. 1958 Taylors 60 years of Port (35cl) and two Taylors Port glasses.